In front of boutique shop windows. Fashion store sale window display with mannequins. 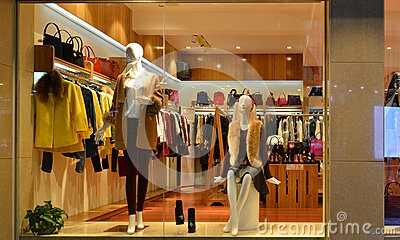 A display window, also shop window or store window, is a window in a shop displaying items for sale or otherwise designed to attract customers to the store.